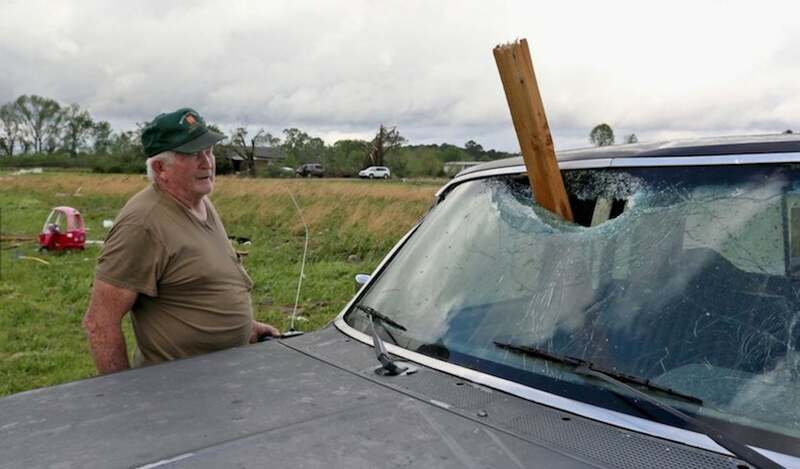 Above: A man looks at a piece of wood that was blown through the windshield of his daughter's truck in Hamilton, Miss., after a storm moved through the area Sunday, April 14, 2019. Image credit: AP Photo/Jim Lytle. A swarm of tornadoes and severe thunderstorms blasted its way from Texas to the East Coast over the weekend, leaving at least eight people dead, dozens injured, and close to 100 homes destroyed. 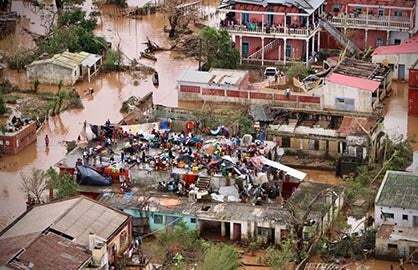 Three deaths were attributed to tornadoes, while five others were caused by falling trees, floodwaters, and a storm-related traffic accident. As of late Monday morning, the NOAA/NWS Storm Prediction Center had compiled 38 tornado reports, 70 reports of severe hail (at least 1” in diameter), and 590 reports of severe wind gusts (at least 58 mph) for the period from 7 am CDT Saturday to 7 am CDT Monday. The number of confirmed tornadoes may end up lower than 38, as multiple reports can occur from the same tornado. The outbreak was well captured by SPC's risk areas issued on Saturday and Sunday, as shown in Figure 1. Figure 1. 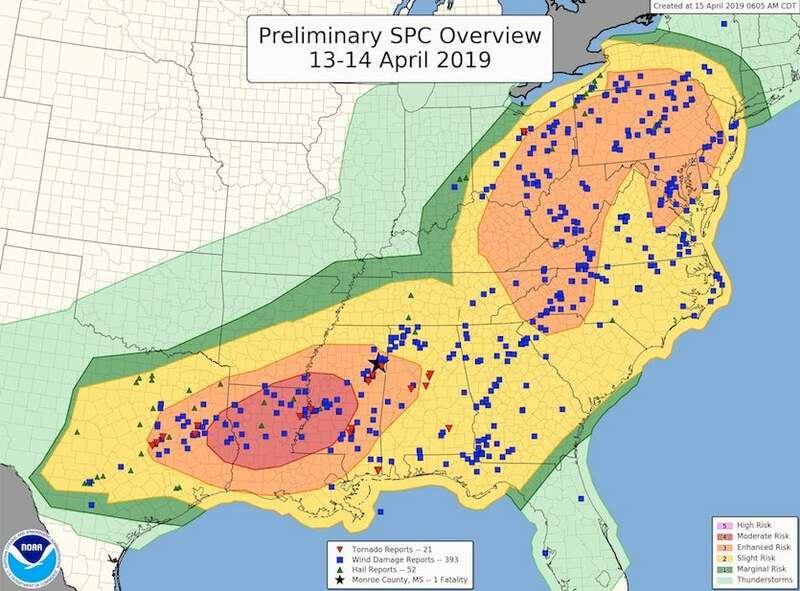 Preliminary overview of the two-day siege of severe weather from Saturday, April 13, 2019, to early Monday, April 15. The total number of severe reports (especially wind and hail) has already risen since this graphic was produced (see text above) and may rise further as additional reports filter in. Image credit: NOAA/NWS/SPC. The most destructive tornadoes occurred at the start of the weekend outbreak, as an intensifying surface low pulled rich Gulf moisture across eastern Texas beneath a strong upper-level low. 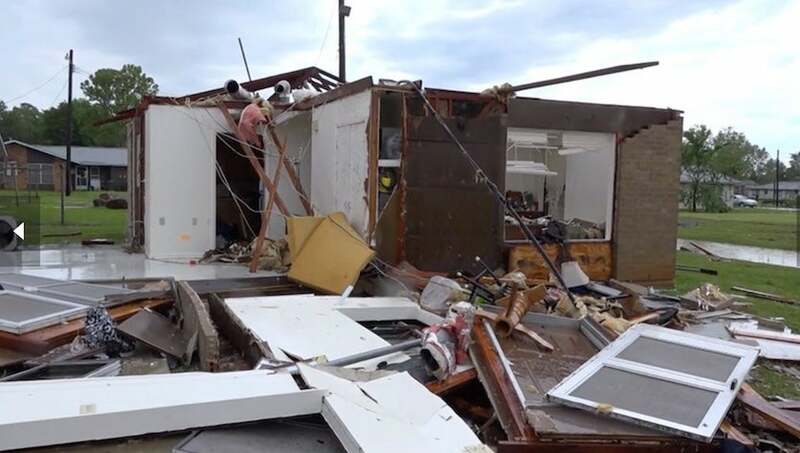 Based on preliminary storm surveys, one tornado brought damage preliminarily estimated as EF3 with peak winds of 140 mph to the Texas town of Franklin. As reported by KTBX via weather.com, the twister destroyed 55 homes, a church, four businesses, a duplex and part of the local housing authority building. Figure 2. A home decimated by the tornado that struck Franklin, Texas, on Saturday, April 13, 2019. Image credit: Robert Pack/LSM. Further to the northeast, two tornadoes—the first rated as an EF2 by the National Weather Service, and the second an EF3—struck the unfortunate town of Alto. In the the forested countryside, large swaths of trees were felled. Before reaching Alto, the EF3 tornado struck the Caddo Mounds State Historic Site in Weeping Mary, Texas, about 140 miles north of Houston, killing one person and injuring at least 30. Cars were flung across the site, and the visitors center was heavily damaged. The site was hosting its yearly Caddo Culture Day, featuring visitors from the Caddo Nation of Oklahoma, who lived in the region for hundreds of years before being forced into Oklahoma during the mid-1800s. The site’s archaeologist, Victor Galan, was among those critically injured. Figure 3. 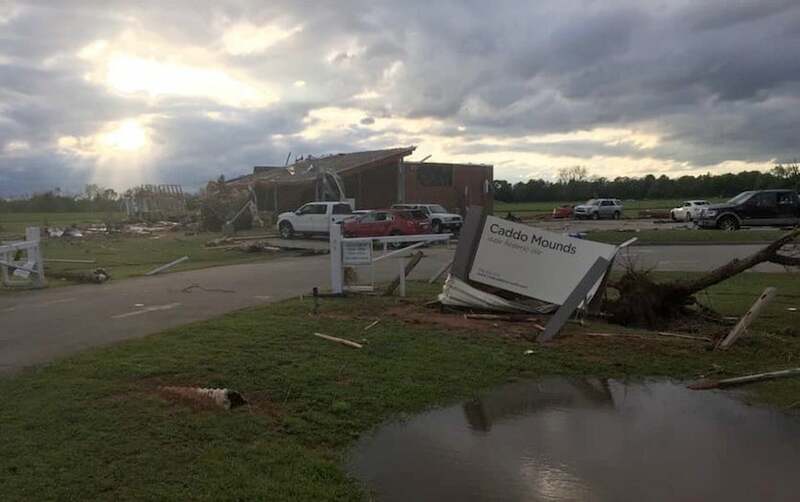 Damage to the visitors center (background) at the Caddo Mounds State Historic Site in east Texas from a tornado on April 13, 2019. Image credit: Caddo Mounds State Historic Site. Several tornadoes struck near Vicksburg, Mississippi, on Saturday evening, including two rated at EF2, and several more twisters developed late Saturday night and early Sunday morning as supercells embedded in squall lines raced north across Mississippi and Alabama. The hardest-hit town was Hamilton, MS, where several people were injured and a 95-year-old man was killed in his manufactured home. Thousands of students at Mississippi State University took shelter as an EF1 tornado moved through Starkville; no injuries were reported. Early Sunday morning, high winds damaged the roof of the Cathedral-Basilica of St. Louis, which was built in 1834 and was the first cathedral built west of the Mississippi River, the St. Louis Post-Dispatch reported. Inside, water damage was reported to the ceiling. The tornado count dropped on Sunday—only five were reported after 7 am CDT—but high winds and torrential rains affected millions of people, as lines of intense storms swept through the Appalachians early Sunday, reaching the East Coast by late Sunday night. Tornado watches were slathered across the region, including cities from Raleigh to New York. Several homes and businesses were heavily damaged in Laurel, Delaware, early Monday morning, and a possible tornado with a debris signature on radar was reported near Eldorado in Maryland's Eastern Shore region. Counting the three tornado-related deaths this past weekend, tornadoes have taken 27 lives this year as of Sunday, April 14. In the entire year of 2018, only 10 people were killed by twisters, a record low in data going back to the 1800s. However, by this date in 2017 a total of 28 people had been killed by tornadoes, mainly due to deadly outbreaks in both January and February of that year. Despite the small number of tornadoes, Sunday was the year's most active day thus far for severe weather overall. Figure 4. 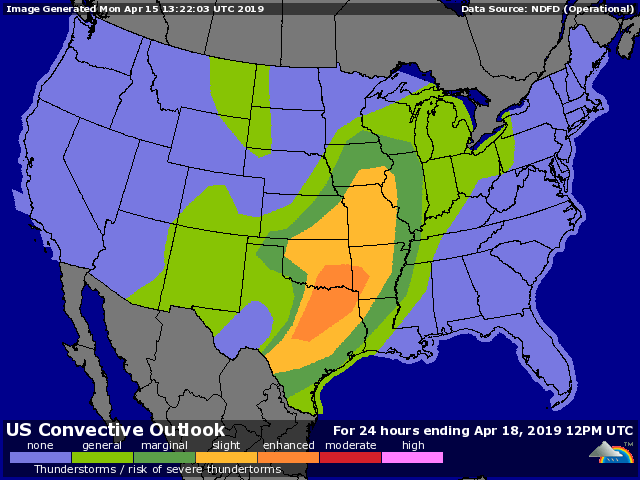 A large part of the south-central U.S. is at an enhanced risk of severe weather, the third highest of the risk categories, on Wednesday, April 17, 2019. Shown here is the outlook issued early Monday. 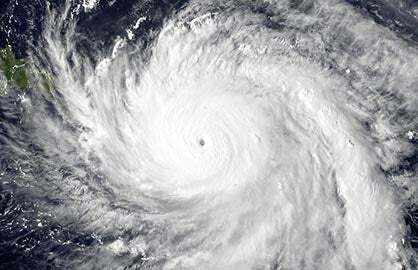 Image credit: NOAA/NWS/SPC. Another multi-day onslaught of severe weather is in the cards this week for the central and eastern U.S., as an amplified jet stream and a highly progressive, dynamic weather pattern continues to play out across North America. Widespread severe weather, including a risk of tornadoes, is expected to develop from Texas to Iowa on Wednesday. 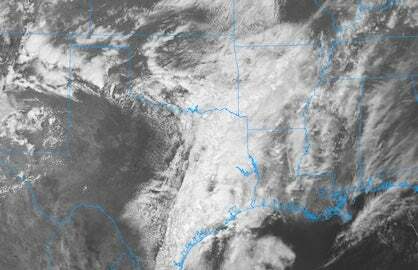 Giant hailstones may pummel parts of the region, especially across the enhanced-risk area in Oklahoma and Texas. This north-south belt of severe weather will cross the Mississippi on Thursday and reach the coastal Southeast and mid-Atlantic by Friday. Right now, it appears that the vertical wind profiles will not tend to be quite as favorable for tornadoes as they were this past weekend—but given the season and location, we’ll certainly need to stay on guard and keep tabs on this strong multi-day system as it evolves. 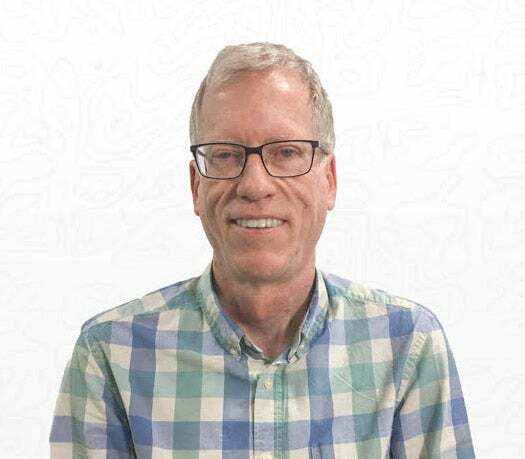 Jeff Masters contributed to this post.